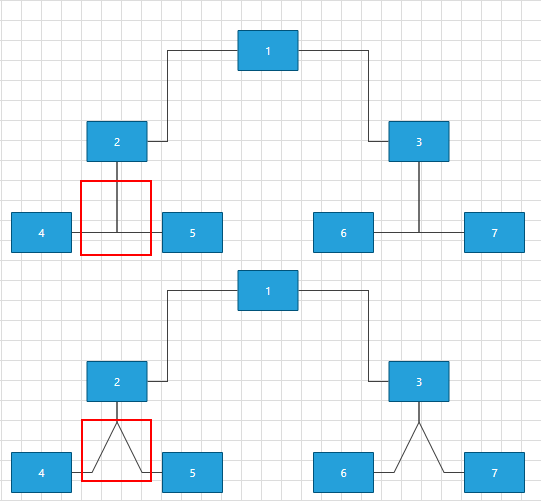 A mechanism using algorithms to make sure that the connections don't cross each other while building links/paths between the shapes. 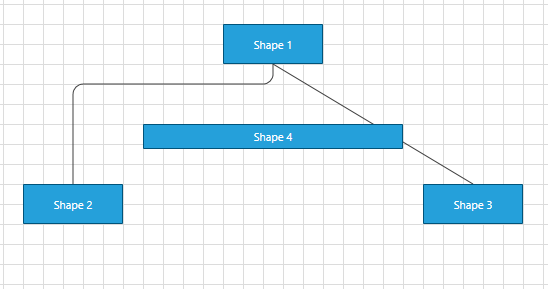 Routing in RadDiagram is only available if the RadDiagram RouteConnections property is set to True. Please note that its default value is False and you need to explicitly declare you want to enable the routing features. If you want to exclude/include a connection from the routing process, you can use the Route property of the RadDiagramConnection. Using the code above we will exclude the second connection from the routing by setting its Route property to False. The routing algorithm can be parametrized using the DiagramConstants.RoutingGridSize constant that has a default value of 40 units. A smaller value will increase the time to compute the optimal path and increase the set of possible solutions for the path constraints. On the other hand, a small value leads usually to a lot of stairs/wiggling in the connection's path. The TreeLayoutType points to the type of Layout you wish to use. The routing logic is based on this LayoutType. The ConnectionOuterSpacing is the Minimum Margin between the Parent/Child Shape and the connection. 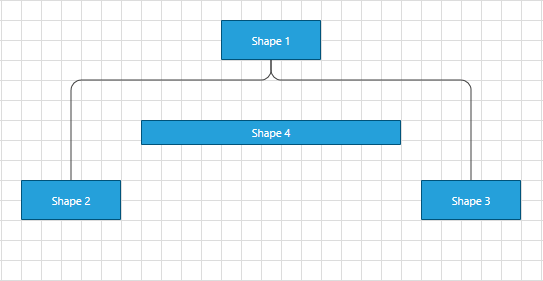 Figure 3 demonstrate these shapes after TreeDown Layout operation performed on the Diagram. The OrgTreeRouter is used in our ClassDiagram and OrgChart samples of RadDiagram. <telerik:RadButton Width="300" Height="30" HorizontalAlignment="Center" Content="Layout"
Create custom connector points for every shape. Create TreeLayoutSettings and configure it. Create Router and assign it to be the default one. The routing connection algorithm of the AStarRouter support two types of connection: Polyline and Spline. 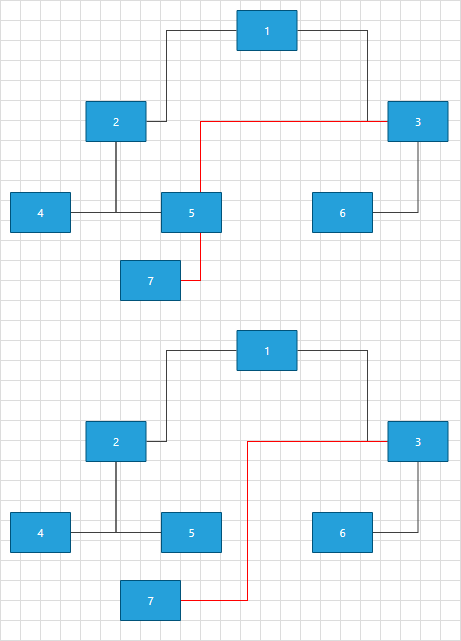 DiagramConstants.RoutingGridSize: A property of type double that gets or sets the routing grid size. DiagramConstants.RouterInflationValue: A properly of type double that gets or sets the size of the restricted area around the shapes. AvoidShapes: Boolean property controlling the logic that makes the connections go around the shapes. This property is True by default. WallOptimization: Boolean property controlling router optimization logic. If you set this property to True the router will try to optimize some of the steps so that there are the least corners. 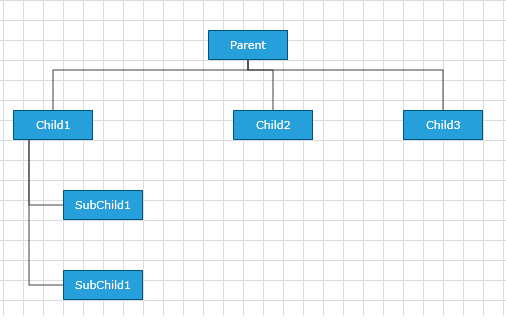 With the R1 2019 version of Telerik UI for WPF, several properties were created which can be used to further modify the algorithm for the routing connections. In order, the changes to be applied to the algorithm the AvoidConnectionOverlap property of the AStarRouter need to be set to True. AvoidConnectionOverlap: Boolean property that gets or sets a value which indicates whether the routing algorithm should try to minimize connection overlaps. The default value is False. SegmentOverlapPenalty: A property of type double that indicates the penalty of a given path when it overlaps an existing diagram connection. Decreasing the value close to 0, the connections behavior will become very close to when AvoidConnectionOverlap is set to False. The connections will start to cross each other. At another hand increasing this property, the connections might start to cross a given shape (avoiding connection will be with higher priority than avoiding a shape). There is no strict number when one is more important than the other. It dependents on the concrete scenario. The default value is 0.5. SegmentOverlapDistance: A property of type double that gets or sets the surrounding area of a segment in which an overlap is detected. This property require AvoidConnectionOverlap to be set to True. CalculateWallPenalty: This method calculates the penalty for the node that we give it. By default if the node is inside a shape we return the penaltyBaseValue which is the heuristic distance to the endpoint. CalculateBendAlteration: This method calculates the bend alteration. By default the result value can be positive - a penalty for changing the direction or negative - a bonus for keeping the direction. The InflatedRectRouter is a simple connection router whos goal is to create a route with least bends. This router doesn't try go around shapes except the start and end shape. If you have the gliding connectors of a shape enabled avoid using the StartPoint and EndPoint properties of the corresponding connection to calculate the route in the GetRoutePoints method. This could create a circular dependency between the ConnectionPoints and the Start/EndPoint property, thus leading to an unexpected behavior. Instead, when using gliding connectors and a custom router, use the Bounds property of the Target and Source shapes of the connection - example: connection.Target.Bounds;.